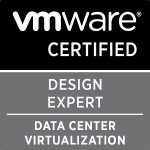 Just a very quick posting of the two VMKernel problems I noticed in my VMware environment this morning and the very simple fix i found for it. As I said a very simple fix but thought I’d put it out there just in case someone isn’t as lucky as I was in noticing the errors came at the same time as a certain vm became unresponsive. Categories: Virtualisation | Tags: Driver ata_piix, for vmhba3, key=0x0, ScsiCore: 1119: Invalid sense buffer: error=0x72, SCSILinuxAbortCommands Failed, segment=0xb, valid=0x0, VMKernel errors, VMware | Permalink.